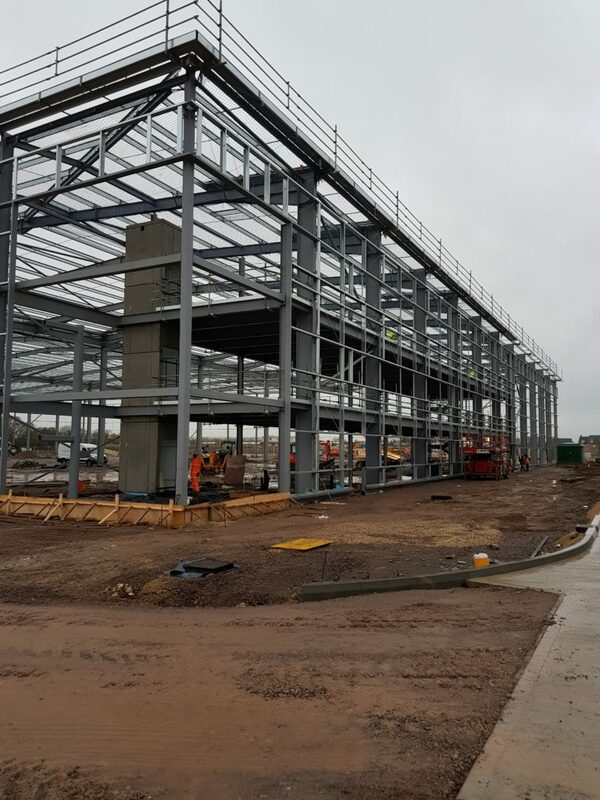 Work is coming on apace at Plot 1A of the Link 9 Distribution & Production development site, just off Junction 9 of the M40 near Bicester. It’s the end of week 10 on site with the steelwork complete and the cladding installation under way. We’re now looking forward to the M&E works beginning on site in the next few days. 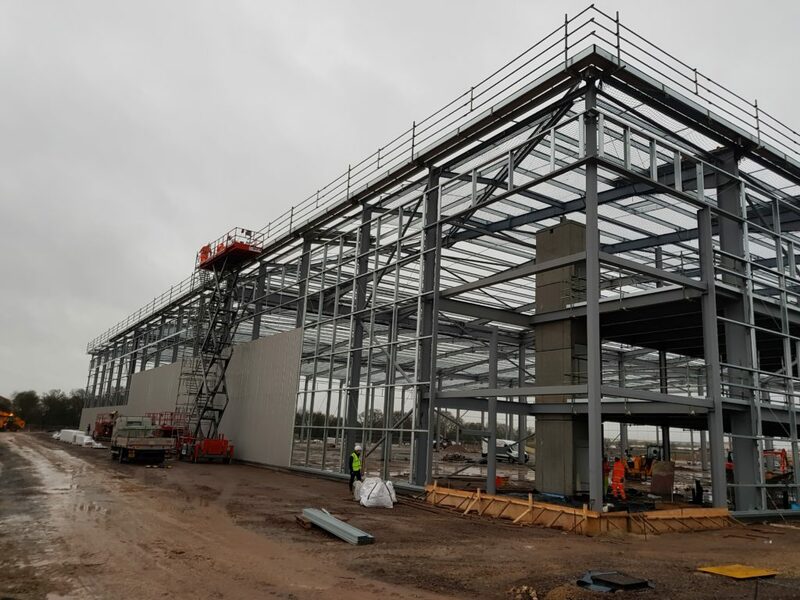 The site for developer Albion Land is due for practical completion in May 2019. Photos by ESC’s Chris Pearce who was on site to check progress.